Optimizer is worth every penny... The biggest result is indexing the product pages. For example, one of our new items is a heart pendant watch. Before Optimizer, searching for "heart pendant watch" resulted in our site being listed on the 70th to 120th listing, now it's #1. This is just Optimizer cranking out the pages, without any additional work...and on an MMUI site. Even with three dedicated machines, we could not handle our holiday and other peak traffic without Merchant Optimizer. When Stupid.com is spotlighted on Jay Leno or Good Morning America, traffic spikes to 20,000 simultaneous visitors...while its nice to have that traffic, we have to be sure actual purchasers get through the cart without delay. Oh, and every Optimizer produced product page ranks hundreds of positions ahead of its Merchant-generated version. Merchant Optimizer to the rescue! A large client of ours who handles their own hosting launched a major sales blitz and the sale was a huge success, with one show stopping problem. The server they were running wasn't up to the task. Getting new hosting or a bigger server would takes days or weeks and for our client every minute the server was overloaded was costing them sales. We estimate a single hour of downtime would've cost them close to $40,000 in lost sales based on their analytics that day. Merchant Optimizer was the savior we needed, it allowed our client to get the load under control and keep the site humming for the duration of their giant sale, all the while handling magnitudes more traffic and customers than that client had ever dreamed of when they originally got their server back in 2006. Even after they upgrade their hosting, they'll be keeping Merchant Optimizer to guarantee they're never caught off guard again. See it in Action. Here are just a few sites using Merchant Optimizer. You may think your site is fast - at least, fast enough for your average shopper - but numerous studies have shown that as you increase the speed of response, you increase conversions and order totals. Instead of wondering if your site fast enough, ask yourself if your site is making enough money? Merchant Optimizer automatically builds static HTML versions of all your pages that are EXACT duplicates of their respective Merchant page. And, as you make additions and changes to your category and product pages, Optimizer will automatically update the static pages to reflect those changes. Once you go live with your optimized pages, you can sit back and let Optimizer do the work. Are you ready for success? Make your 15 minutes count! What would happen if your site suddenly received 100,000 hits an hour? You'd be ecstatic right? If you had Merchant Optimizer, yes. Without vast amounts of server power, most dynamic shopping carts slow to a crawl, sending customers away... usually for good. It happens all the time: a site experiences a huge spike in traffic and WHAM!...the site can no longer handle the traffic. With Merchant Optimizer, you not only get better search engine performance, but also peace of mind knowing that you can handle almost any traffic load, even on a shared server. Even if you just keep it handy so it can be switched in at a moments notice, the small investment in Optimizer pays off a thousand-fold when you get your 15 minutes of fame. Why pay for a dedicated server all year round, when you only need it several times a year? We hear stories like the one above every week; a great sales promotion, an unanticipated mention on some TV show or high profile site, being the right product at the right time--it doesn't take much on the internet to sometimes generate tons of visitors. However, running enough server power to handle these peaks all year long can be prohibitively expensive. So, whether you run Optimizer pages on a day to day basis, or just keep it on hand in case your 15 minutes of fame comes due, Optimizer will surely be one of the best investments you can make. 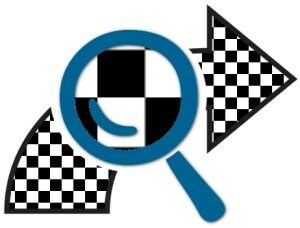 Search engines love speed too! Search engines have their work cut out for them, scanning millions of sites a day. Search engines reward sites that load faster. The faster they can load pages, the more pages they will index. The time-to-load is a critical Page Rank criteria. When a page is a REAL HTML page, and not just one that says it is, search engines typically rank them higher than dynamically created pages because they see them as being more "permanent". If you also have our Moogle product, Optimizer and Moogle share a database of Merchant pages as well as link patterns, making it the ultimate combo for speed and search engine coverage. Works with all Miva Merchant 5.5 and 9.x stores. Merchant Optimizer is licensed for one year from the date of purchase. This includes free support, feature updates, and of course any bug fix releases. The renewal cost for Merchant Optimizer is: $88.88.00.